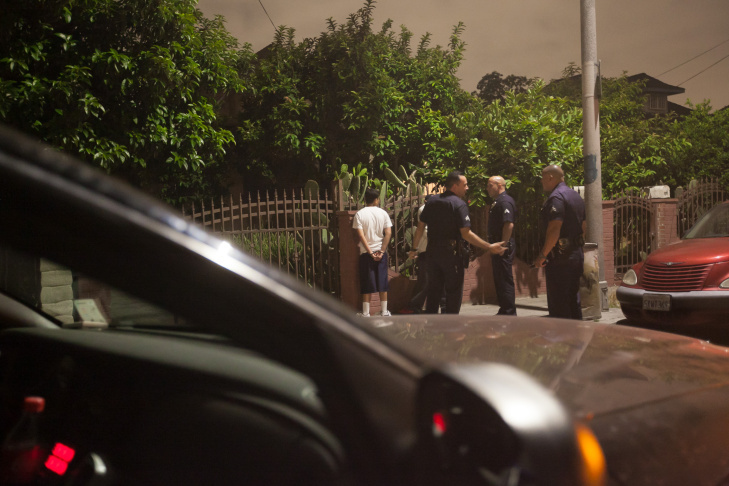 Los Angeles Police Sergeant Raul Jovel enters data in a field report after making a stop on E. 28th St. to check on some metro officers who were doing a search at a home on Tuesday, May 12, 2015 in Los Angeles, Calif. 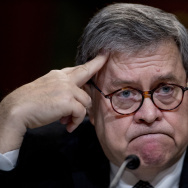 The search later turned up methamphetamines packaged for sale, a scale, and ammunition including .380 auto, .40 caliber, .357 magnum and rifle rounds, according to metro officers who were at the scene. 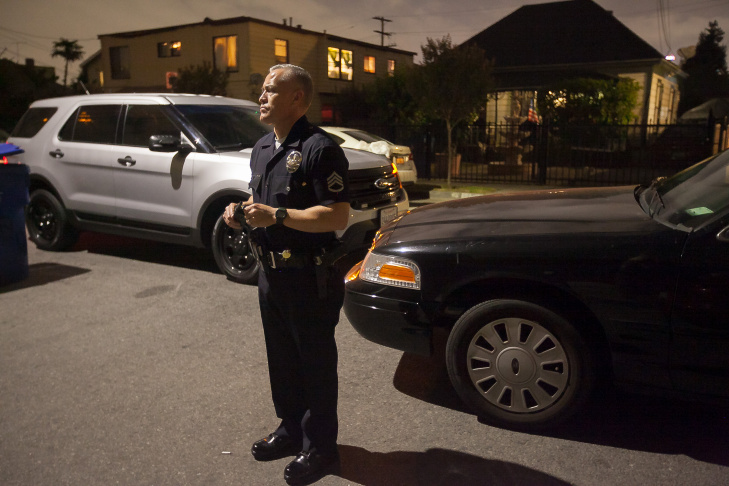 Los Angeles Police Sergeant Raul Jovel surveys the scene before checking in with metro officers doing a search at a home on E. 28th St. on Tuesday, May 12, 2015. 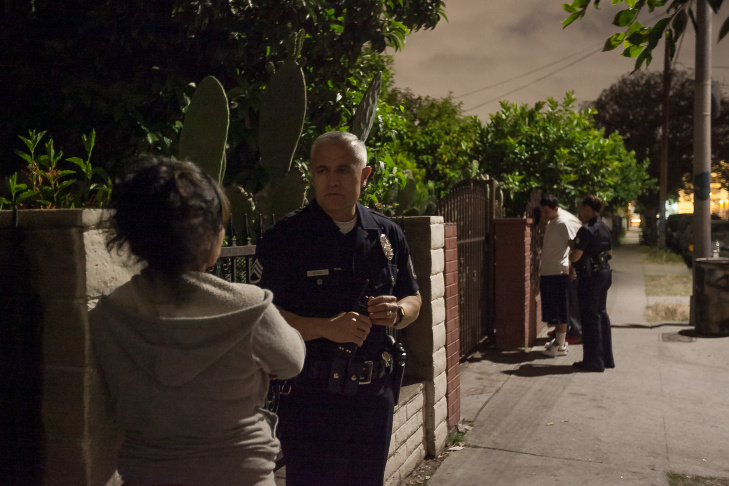 Los Angeles Police Sergeant Raul Jovel speaks to a resident during a stop to check in with other metro officers on E. 28th Street in Los Angeles, Calif. on Tuesday, May 12, 2015. Two suspects outside a home were searched by officers who said they found methamphetamine packaged for sale, a scale, and ammunition including .380 auto, .40 caliber, .357 magnum and rifle rounds on the premisis. LAPD Metro officers talk in front of a home on 65th St. near Broadway. Officers were waiting with multiple suspects detained for "drinking in the roadway." 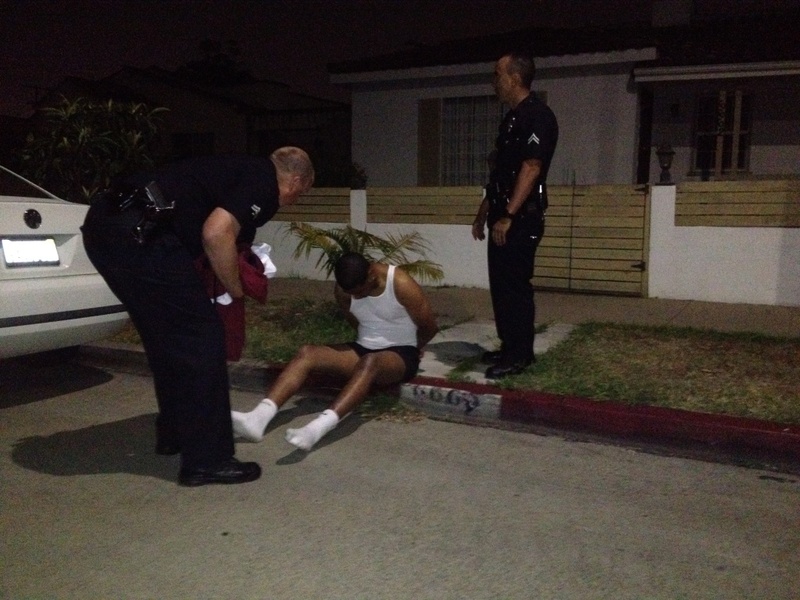 Three of the men had (GPS monitoring) ankle bracelets, said Sergeant Raul Jovel of the LAPD Metro Division. Several area residents, wary of police after the recent shooting of Ezell Ford, Jr., stood outside their homes and cars, observing and taking cell phone video. The watch commander at 77th St. Station in Los Angeles talks about the increased presence of metro division officers in the area. The metro expansion will allow more officers to be in high-crime areas around the city. 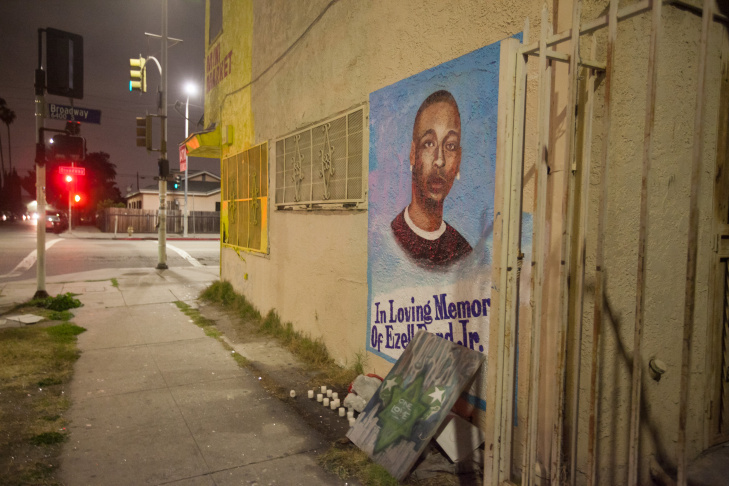 A memorial for Ezell Ford Jr. on the corner of 65th and Broadway streets in Los Angeles, Calif. photographed on Tuesday, May 12, 2015. 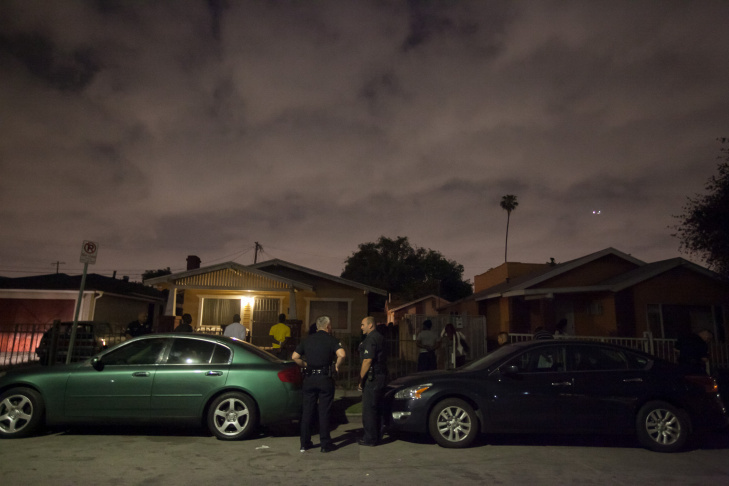 Los Angeles Police Department Metro division officers outside a home they are searching on E. 28th Street on Tuesday, May 13, 2015. The search later turned up methamphetamine packaged for sale, a scale, and ammunition including .380 auto, .40 caliber, .357 magnum and rifle rounds, according to Metro officers who were at the scene. 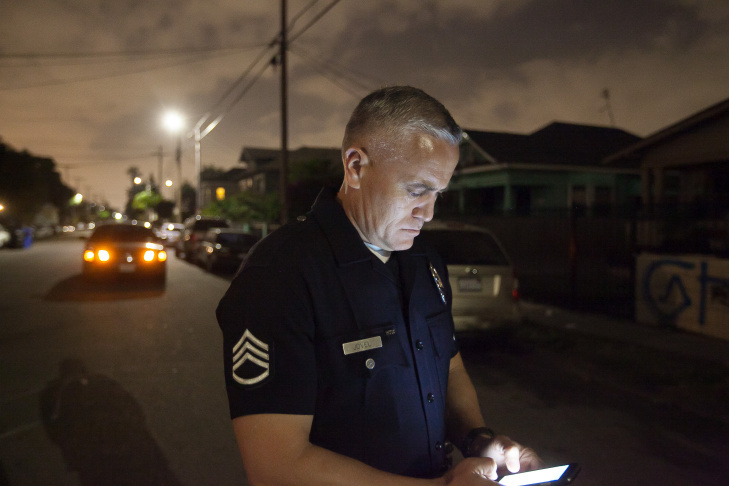 Los Angeles Police Sergeant Raul Jovel begins his night out of the 77th St. station in Los Angeles, Calif on Tuesday, May 12, 2015. 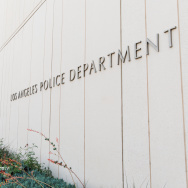 At around midnight on a recent weeknight, LAPD officers lined up eight young African-American men along a metal fence on East 65th Street in South Los Angeles and checked their IDs. 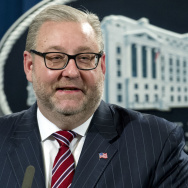 The area is known for gang activity, and the officers, part of the department's elite Metropolitan Division, swarmed the neighborhood after an uptick in gang activity. “The police are going around killing people,” one African-American woman shouted at the cops. “They stop innocent people who are minding their own business,” complained another. Neither would give her name saying they feared retaliation by police and don't trust a reporter who is riding along with them. This is the same block police fatally shot Ezell Ford, 25, an unarmed black man, last August. Officers take one of the men into custody for violating probation and let the rest go. Then they keep driving, looking for suspicious activity — what they call "observation policing." Reasonable suspicion or excessive discretion? At a time when community policing is seen as so vital, Mayor Eric Garcetti just announced a huge expansion of this division — 200 new officers — where cops do not get to know the neighborhood but are instead deployed from area to area in response to spikes in crime. Lt. Roger Murphy, who commands 60 officers with Metro’s “B” Platoon, uses words like "strategic" and "surgical" when he talks about the efforts. 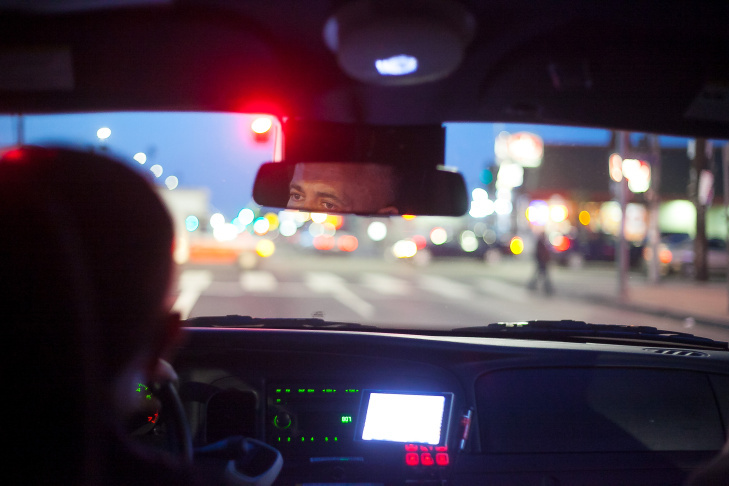 The officers can stop anyone as long as they have what the Supreme Court has called "reasonable suspicion" — and they spend their nights doing just that. “Reasonable suspicion isn’t necessarily a high degree of confidence that a crime has occurred,” Loyola Law School Professor Priscilla Ocen said. For instance, walking away fast from a passing officer in a high-crime neighborhood could be justification to stop someone. That’s because racial minorities often live in high-crime neighborhoods like South Los Angeles. 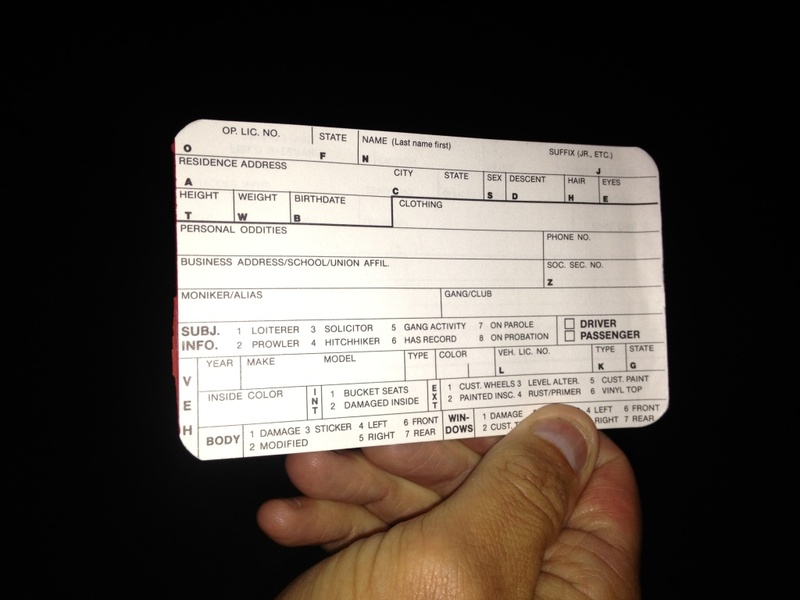 Metro officers often fill out field interview cards when they stop someone, collecting names, physical descriptions, addresses and even notes on "physical oddities." The cards may be used by detectives looking for a suspect if a crime occurs nearby in the future. Murphy acknowledged his officers make a lot of stops, but he argued they have the experience and training to know when to make them. “They’re not necessarily quick to leap, if you will, or jump to conclusions and act without basis,” he said. To be accepted into the unit, cops must have at least four years on the job and undergo special screening. Officers often aspire to work Metro because it can be a stepping stone to higher ranks. “We may not always stop the right person,” Murphy said. “The community policing comes into it when you explain afterwards, this is why I stopped you — you fit the description." It’s a loaded phrase for some people who think black and Latino men too often "fit the description." Created in 1933, Metro has a somewhat checkered history. It was the unit that hunted communists and labor union activists, and Metro cops once had a reputation for liberal use of force. It's also the unit that in May 2007 swept through MacArthur Park, beating immigrant rights marchers and journalists. Murphy said much of that past was "folklore" — and it's in the past anyway. Metro remains the go-to unit for high profile incidents, and Metro's street tactics work, he added. SWAT, K-9 and the special details that protect the chief and the mayor — and the president when he comes to town — are also part of the division, but those are not the same officers assigned to targeted patrols. Murphy said their instincts are often right on. One recent night, Murphy's officers called for help on the radio after the passenger bolted from an Infiniti SUV they'd pulled over because it had paper license plates – an indicator the car might be stolen. The sound of a police helicopter circling the neighborhood looking for the man brings Jonathan Thompson out of his home on this normally quiet residential street, cell phone in hand. He's videotaping the officers. "I’d prefer not to be doing this,” said Thompson, 30, who helps run a homeless youth shelter. "As a person of color, it's important to let them know: I’m glad you’re here but we also want to make sure you’re doing what we pay taxes for — and we don’t want people to get hurt in the process." After about 15 minutes, they find the guy who ran at a house nearby. “The officers located him on the front porch sitting on a chair wearing nothing but a tank top and his underwear," Murphy said. The man assumed officers would assume a man in his underwear lived in the house. He is wanted in Texas for drug trafficking. 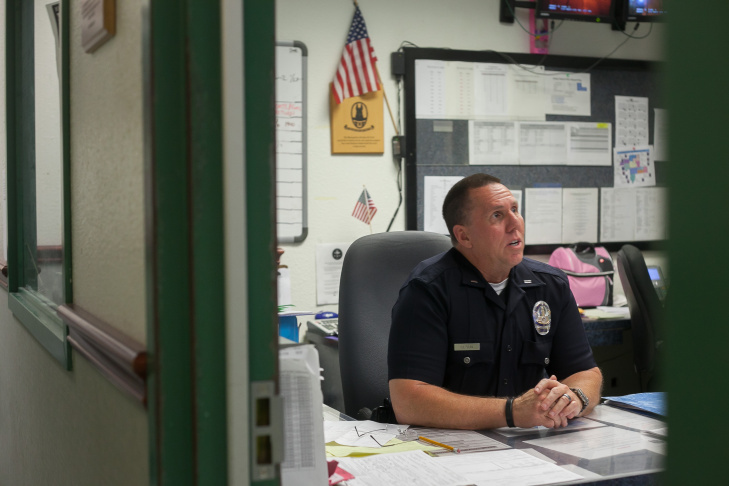 Can a new LAPD captain win over the citizens of South LA?